In other enforcement news, the SEC charged an energy firm and a stock promoter with defrauding investors about its oil reserves. Infinex failed to do due diligence on the ETFs and made unsuitable recommendations, FINRA said. The SEC charged a Houston-based oil and gas exploration and production company and its CEO for making fraudulent claims about its reserves. Meanwhile, FINRA fined and censured one firm for excessive markups and another for failing to review nontraditional ETFs. Meriden, Connecticut-based Infinex Investments, Inc. was censured by FINRA and fined $75,000 for failing to give nontraditional ETFs the same level of review that it did other new products it offered to its customers. It was also ordered to pay $287,171.75 in restitution to customers. According to FINRA, not only did the firm allow its registered representatives to recommend nontraditional ETFs to customers without having performed reasonable due diligence so that they understood the ETFs’ risks and features, it also failed to ensure that such ETFs were not sold in customer-specific circumstances that made them unsuitable — such as to customers with low risk tolerance or conservative investment objectives. That meant customers not only held unsuitable investments, they held the nontraditional ETFs longer than was appropriate based on recommendations in the ETFs’ prospectuses. That cost them. The firm failed to properly supervise nontraditional ETF transactions, treating them instead the same way it treated traditional investments. It failed to flag nontraditional ETF transactions for evaluation; it also failed to monitor how long such investments were held and to train personnel properly regarding such investments. The firm neither admitted nor denied the findings. Houston American Energy Corp. and its CEO, John Terwilliger, were charged by the SEC for fraudulently claiming that a Colombian exploration concession in which Houston American only owned a fractional interest held between 1 billion and 4 billion barrels of oil reserves, and that the reserves were worth more than $100 per share to Houston American’s investors. The estimates were not only completely unreasonable, they were falsely attributed to the concession’s operator, whose actual estimates were much lower. The agency also charged stock promoter Kevin McKnight and his firm Undiscovered Equities Inc., who were paid by Houston American to spread its fraudulent claims about the oil-and-gas concession project in Colombia. The SEC said that the claims were made during several months in late 2009 and early 2010. During this time, Houston American raised approximately $13 million in a public offering and saw its stock price increase from less than $5 per share to more than $20 per share. Chicago-based Howe Barnes Hoefer & Arnett Inc. was censured by FINRA and fined $200,000 for charging excessive markups on zero-coupon municipal bonds and U.S. Treasury and Agency Separate Trading of Registered Interest and Principal Securities (STRIPS). The firm neither admitted nor denied the findings, but has already made voluntary restitution to customers of $64,231.16, the total amount of the excessive markups. According to FINRA, the trades were placed through another FINRA-registered broker-dealer that owns a nonvoting 20% preferred stock interest in the firm. The firm was unaware of the number or percentage of the other firm’s markups. As a result, firm customers paid excessive markups in municipal bond and STRIPS transactions. 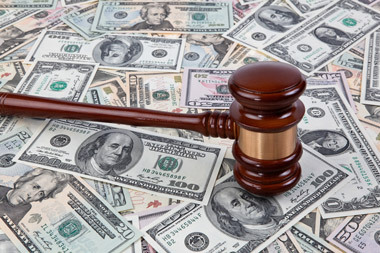 FINRA found that the firm did not reasonably supervise the markups charged for these transactions, and also failed to reasonably supervise the communications between its brokers and the other firm’s salesman. In addition, it failed to reasonably enforce its fair pricing reviews in connection with the trades; that resulted in the excessive markups. It also failed to reasonably monitor the appropriateness of the trades at the other firm, in light of the potential conflict of interest in directing trades to an entity that held a noncontrolling interest in it. Check out FINRA’s 5 Biggest Fine Categories in First Half of 2014 on ThinkAdvisor.